Enjoy the character & charm found in this Queen Ann Cottage style home, located on a large corner lot. This home offers 2 bedrooms, 1 bath, a spacious entry with a stain glass window, living room w/fireplace, formal dining room w/ built in hutch, a bonus room with pocket doors that could be used as an extra bedroom or family room. The kitchen has country style cabinetry w/ appliances included & a main level laundry/mud room. 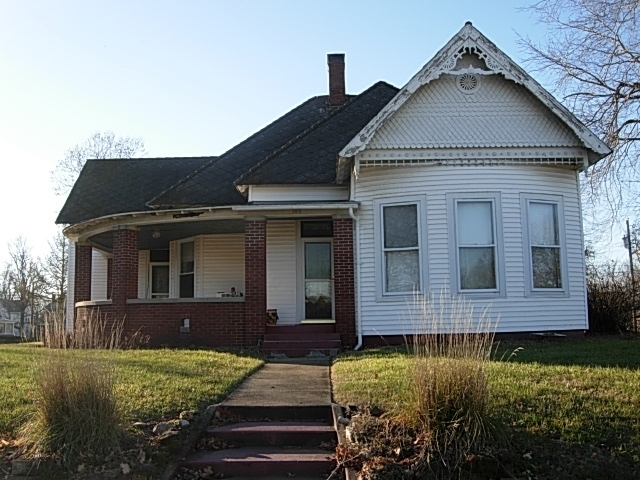 The home will charm you with it&apos;s beautiful in-laid hardwood floors and ornate wood trim. You&apos;ll love the picket fence that adjoins the 2 car det garage & large red barn w/ a full length loft. The welcoming wide front porch creates an inviting space for seating and relaxing. Call and see today!